Both companies are likely to grow those small percentage shares—brick-and-mortar sales will probably become more important for Amazon, just as online sales will for Walmart. And while much attention has focused on Amazon’s move into physical retail, we have been impressed with how Walmart has performed online over the past year, and note that the company has implemented a series of initiatives and acquisitions that have strengthened its hand in the competition for online dollars. 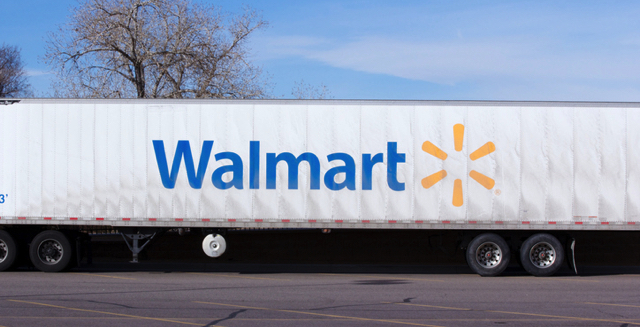 Walmart has doubled its number of online grocery pickup locations year over year, to 1,100 as of the end of its fiscal third quarter. The company aims to add another 1,000 locations next year. The company is rolling out its automated Pickup Towers to around 500 stores, according to news website Bisnow. Walmart has followed Amazon in pushing aggressively into third-party sales, tripling the number of stock-keeping units (SKUs) on its site year over year by the end of the third quarter by building out its marketplace site. As part of the build-out of its marketplace, Walmart will host a Lord & Taylor fashion store on its site beginning in 2018. How Do We See the Battle Shaping Up? The Walmart-Amazon battle is no longer simply about Walmart taking the fight online to prevent loss of share in nongrocery categories. Since Amazon’s acquisition of Whole Foods, the battle has been about winning across channels and across categories, from food to fashion. We expect to see no letup in innovation from either company—but if Amazon pushes into physical retail more aggressively, Walmart may shift its position from pushing aggressively online to defending its brick-and-mortar core.